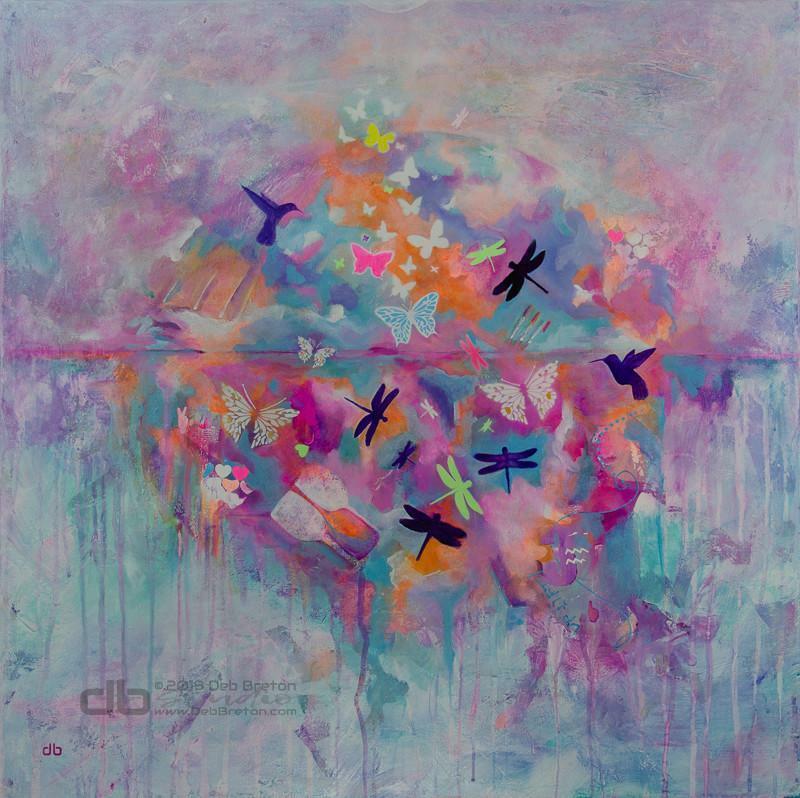 The latest in my “flight” series is a large abstract painting with butterflies, dragonflies and hummingbirds. 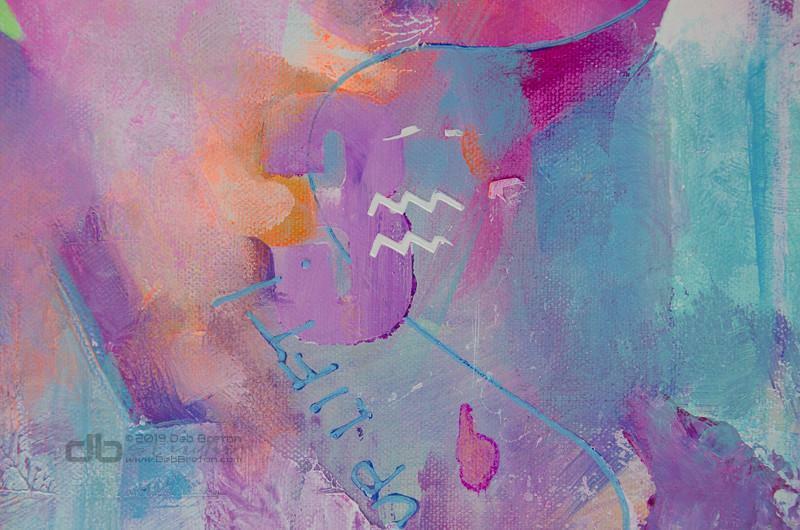 Love painting this – such a happy uplifting color palette. So much good energy when into painting this, hope it shows. It has mostly 10 layers throughout and up to 15 layers of glazes in some places. I tried to really give it some depth. And I don’t know why, but it’s always so much better viewing it in person (that’s why a money back guarantee is so vital). Lately the process has been to lay down the main colors of the palette, then subtracting what doesn’t work, while keeping what does. Over the course of the painting, things take many different turns – as I work more or less intuitively. Hopefully this video gives you a little peek into the process. This year I hope to make more full length videos that might help others create. It’s always a learning process and that longing to outdo your last painting. In many ways it’s like golf, always hoping to make par or birdie! Of course I’m having to learn how to edit videos too, so hopefully that will improve as well. Yes, wine glasses – because I live in Sonoma County and am influenced by my surroundings! 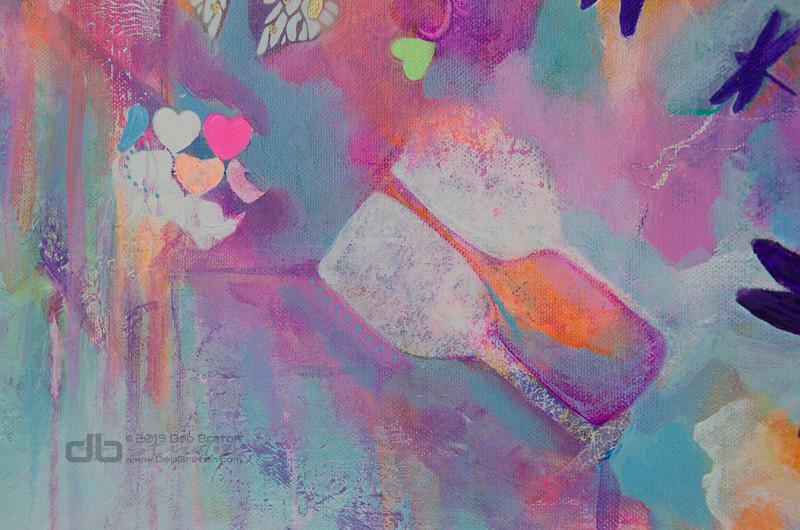 Always hidden messages… All my portraits have hidden hearts in them too. Hopefully these are picked up at a subconscious level too and help to empower and uplift the viewer. This abstract is a large 30″ x 30″ square painting and available here. I’m starting another smaller painting that someone has commissioned me to do – it will be a 12″ x 12″ and along the same lines. Hoping it doesn’t lose it’s impact when smaller – we’ll see! So many more ideas in this FLIGHT series – so stay tuned. Keep positive, keep motivated, keep creating! Appreciate the good word Mike, thanks! 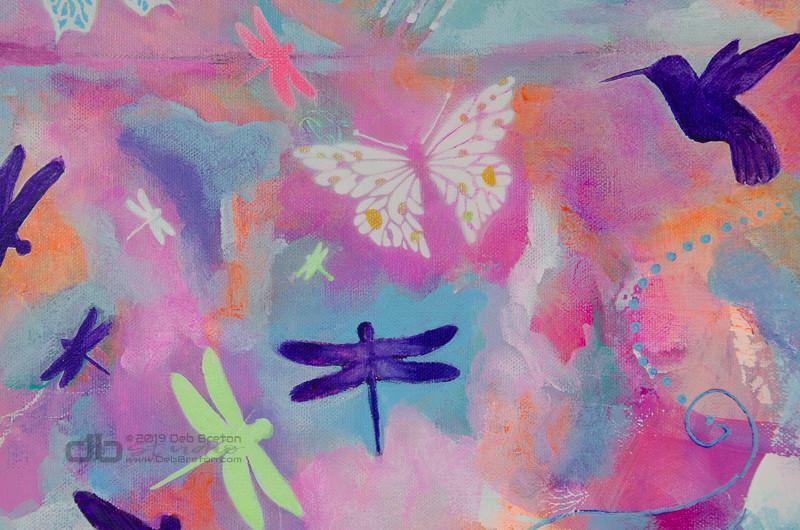 I really like the combination of a abstract background being inhabited by recognizable shapes, whether dragonflies or hummingbirds. Another gorgeous painting. If you only knew the iterations it went through Otto, thanks!